Working on fundamental engraving techniques to practice my graver control. Still have a long way to go. Missed this thread earlier. Great work on these and would be a good way to practice! Geometric straight and the evenly spaced lines in circles..etc. is hard to do perfect.. and why it is good practice. 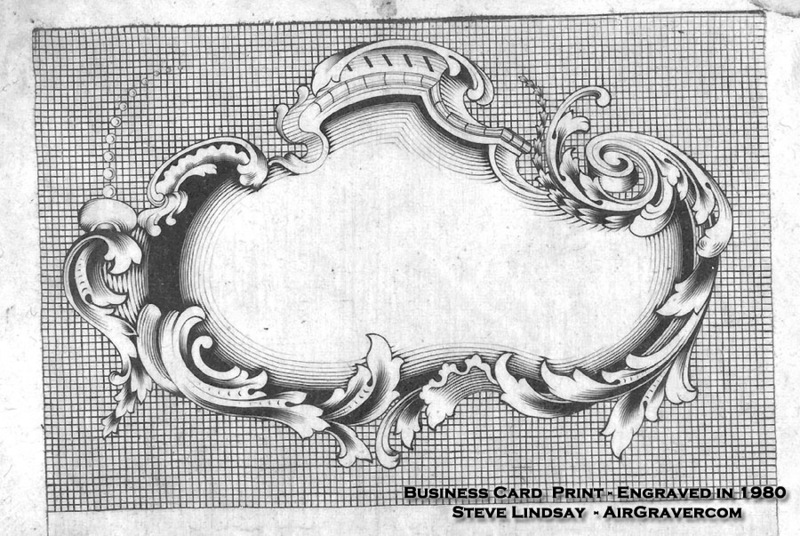 Early when I was getting started I had the idea to make business cards from and engraved plate. I don't know what I did with the plate any more but the other day I ran across a rubber ink print of it. (I had squished on a sheet of rubber to make the print) Engraved in 1980. I never did use it though. I think the design I modified from one of the copyright free Dover books. Seeing your criss-cross plate made me think of it.